Over the past 7 years, Saha has launched 93 businesses, which empower 191 women entrepreneurs that provide clean water and/or electricity to 40,900 people in Ghana. We have a 100% business success rate in Ghana and now are ready to grow! Over the past year we have been researching potential locations for Saha’s expansion and have narrowed it down to either Peru or Nicaragua. Now, we need your help to get there! All of the funds raised at this year’s Benefit will be used for on the ground research and piloting in Nicaragua or Peru. We are excited about expanding our impact and are so grateful for your support! 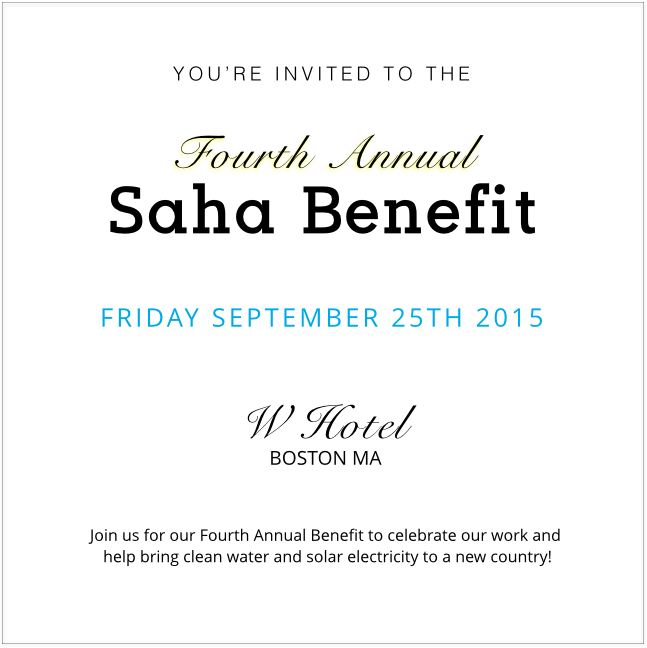 Join us for an evening of cocktails, light appetizers, a silent auction, raffle and live music!